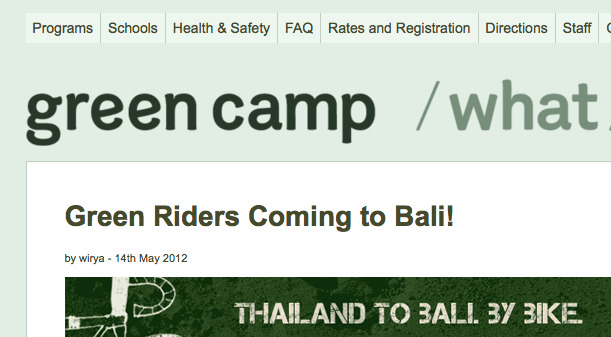 Here is the latest on the green machine otherwise known as the GREEN RIDERS Southeast Asian bicycle-trip from Thailand to Bali. As you may recall, we wanted to wear Kenny and Jamie down to the size of the spokes on their bamboo bikes! Well, it's working. A couple of spokes have broken under the pressure already. In fact this thoroughly-serious sustainable transport odyssey has had its share of punctures and wild animals. Dead snakes have attacked the transport system and one was alive, too. You can catch their Facebook page, Tweets or the blog with the video above, complete with all updates available. 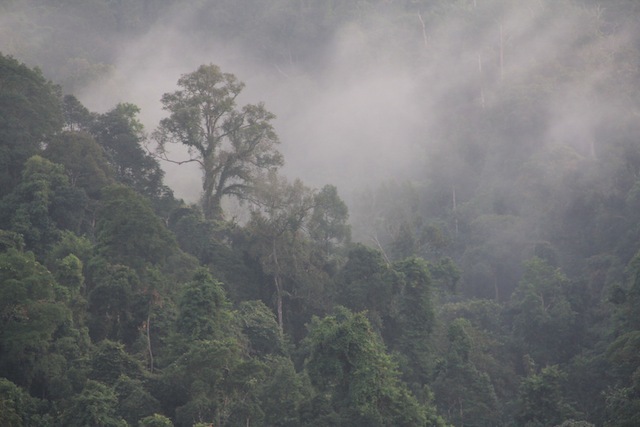 The intrepid pair have reached Khao Sok's famed National Park, still in Thailand, but having covered 108km. That's about two miles isn't it! It shows the view from Kenny and Jamie's bungalow in the forest. Something called a coucal was calling them too. I believe that's a kind of cuckoo, so maybe it was trying to make a point about those wheels, guys. Meanwhile a press conference in Kuala Lumpur awaits, and there's always an eventful border crossing to look forward to. "What are you carrying those spokes for Sir?" Best of luck to the GREEN RIDERS and all who sail in her. 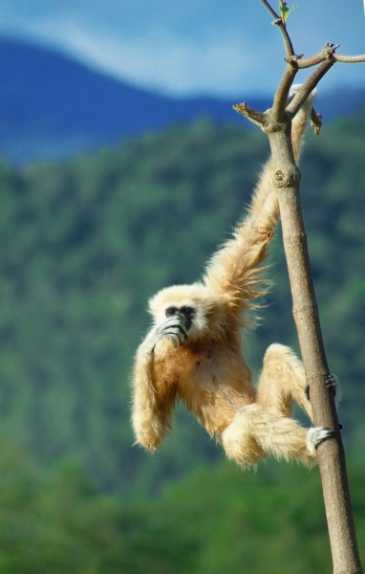 He couldn't get a bike, but this gibbon was recording a song at breakfast-time to help the guys along the way; Credit: © Shutterstock. Next report in a few days!